The most wonderful yet hectic season of the year is here. Yes we're talking about Christmas. Time to decorate your home, gather your folks and embrace forgotten traditions such as the advent calendar. We already know what you are thinking... How on earth can they expect me to embrace chocolate and candy treats for almost a month when all I've been trying to do this past few weeks is to loose those extra pounds! Well here at Folie, we know that one of the biggest challenges during the upcoming festivities will be to keep up with the healthy habits you've been working so hard for this year, so we’re here to help out. 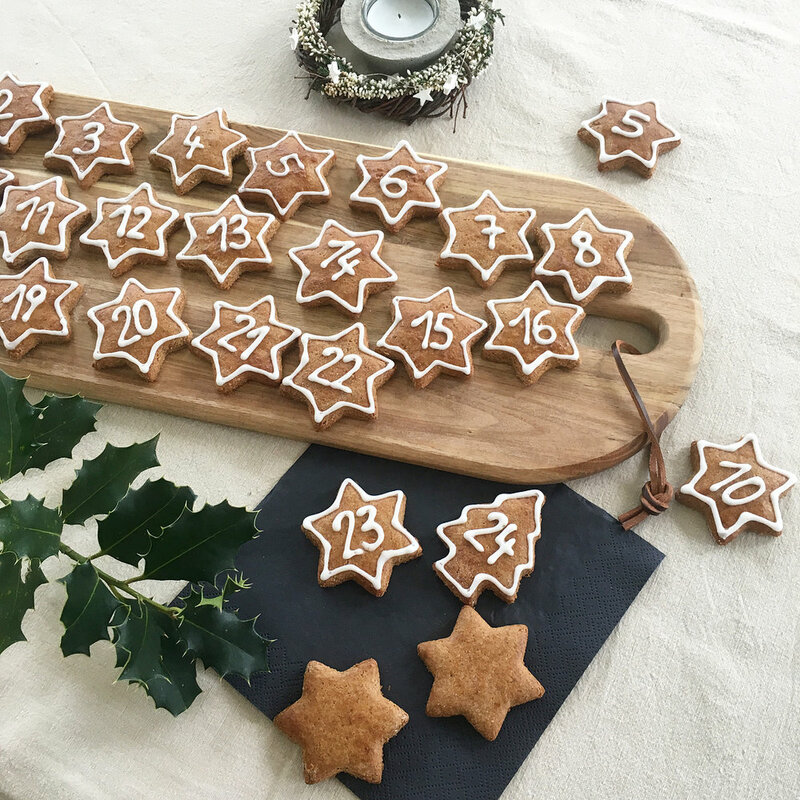 Below, you will find our team's 5 healthy DIY Advent Calendar selection. Slide along to figure out how to embrace tradition, smartly. Fight these cold temperatures with a nice warm cup of tea before you go to sleep. Pick your favorite flavours, label each teabag with a number and hang them in your kitchen. You always follow or publish the most wonderful foodie photos on Instagram. Now’s the time to show them to friends and family. Print your pictures and make a creative christmas tree out of them. If you’re feeling adventurous we challenge you to cook a recipe a day until Christmas Eve. Made out of quinoa, chocolate or matcha there’s an incredible variety of blissful balls recipes. The best thing? They honor their name by being super tasty, healthy and easy to prepare. Let those Christmas lights light up your house with this beautiful candle calendar. Besides choosing candles that smell great you can challenge yourself with a giving action each day. Or, for a twist, you can add loving quotes for your partner or family. And I mean literally… Besides looking super stylish and unique, nuts are way to include healthy fats in your diet as a natural source of energy. Ok, we get it, if you’re really into Christmas traditions, one cookie a day didn’t harm anyone. You can opt for the classic gingerbread cookies as a way to include a little sweetness in your diet. Stay tuned for our upcoming holiday tricks. Here at Folie, we want everyone to enjoy this time of the year as much as we do. Comment below and tell us how you're embracing tradition this Christmas.